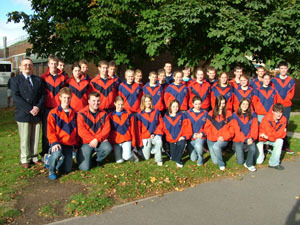 Well done to the nine Cadets from 215 who competed as part of the No 3WW Swimming Team at RAF Cosford on Sunday 26th October 2008. 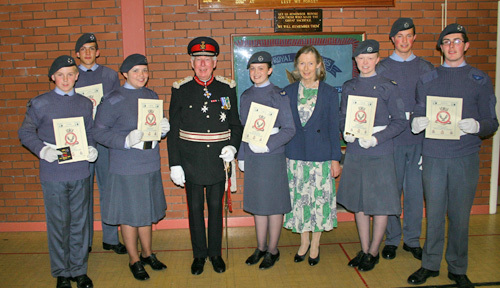 Sgt Flower (f), Sgt Parker (f), Cdt Romaniw (f), Cdt Messer (f), Sgt Harper, Sgt Prosser, Cdt Fulford, Cdt Messer and Cdt Bradley all competed very well and be very proud of their commitment. 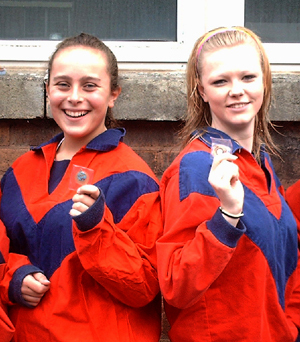 A special congratulation to Sgt Jessica Parker (f) and Sgt Sarah Flower (f) who achieved Bronze Medals in the Medley Relay and also to Sgt Flower for being selected as Overall Girls Team Captain. 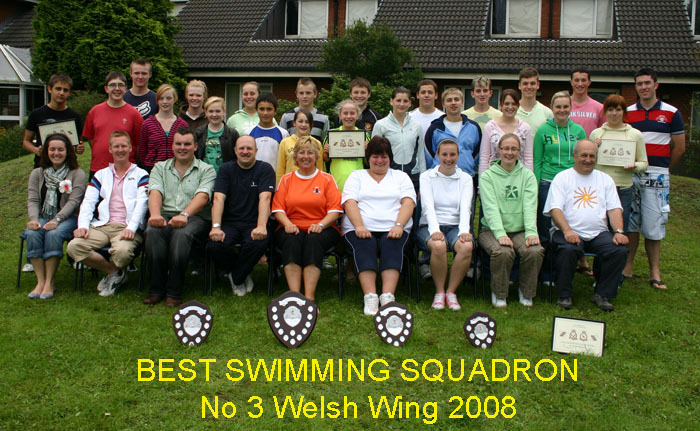 Inter-Squadron Swimming Competition for No 3 Welsh Wing. 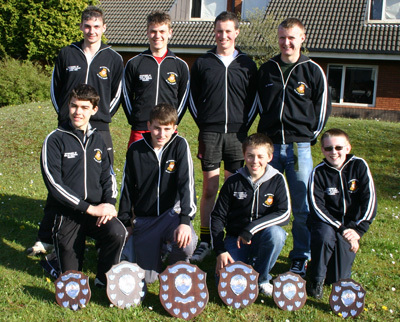 Cadets won the Junior Boys, Overall Boys, Overall Girls and Best Swimming Squadrons Trophies, winning four out of a possible seven on the day. 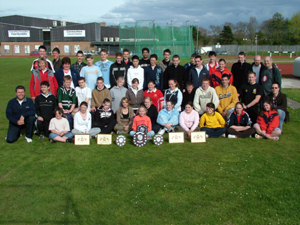 A brilliant 'Team 215' effort. 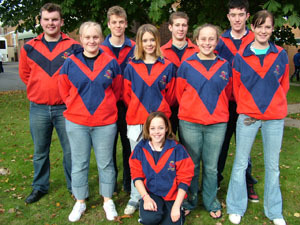 RAF Cosford in May 2008. 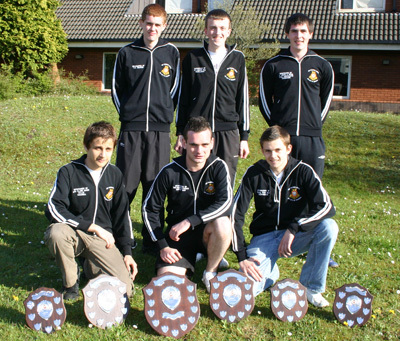 Cdt Messer, Cdt Bonazzi, Cdt Lawrence (f), Cpl Brannigan (f), Sgt Parker (f), Cpl Clarke and Cdt Watt. 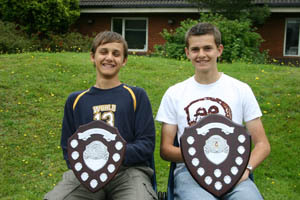 U15 Boys: Bonazzi L, Messer N.
HONOUR HERO WITH THEIR HISTORICAL ACHIEVEMENT ! 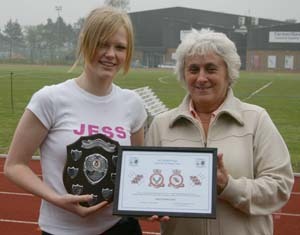 Sgt Sarah Flower receives her Sporting Blue from Mrs Susan Trainer. 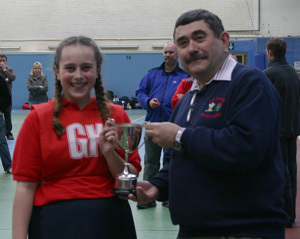 Sarah Flower was voted 'Team Captain' be her piers for the Wales and the West of England Junior Netball Team Championships at RAF Cosford on Sunday 15th March 2008. 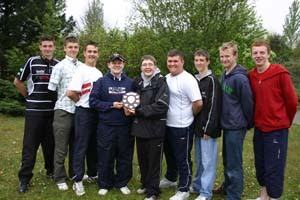 The Team competed very well on the day and won three of their five games. 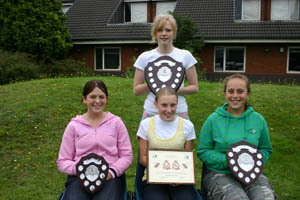 They were eventually placed fourth overall on the day. 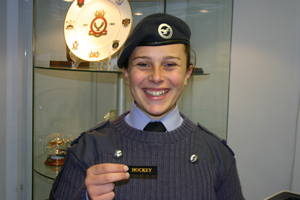 Sgt Jessica Parker (f) also played for the Region. 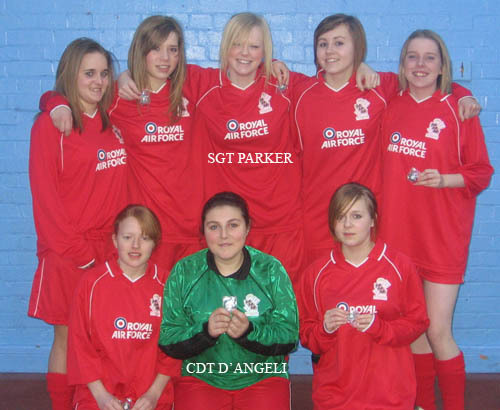 3WW were placed runners up in the recent 5-a-side championships at RAF Cosford. 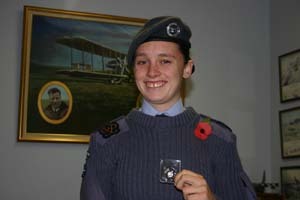 Cadet Kayleigh D'Angeli (f) and Sgt Jessica Parker (f) both received silver medals - Well Done ! 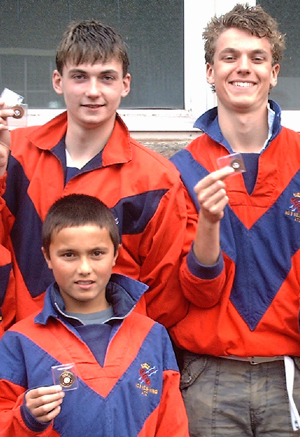 with their medals on the day. 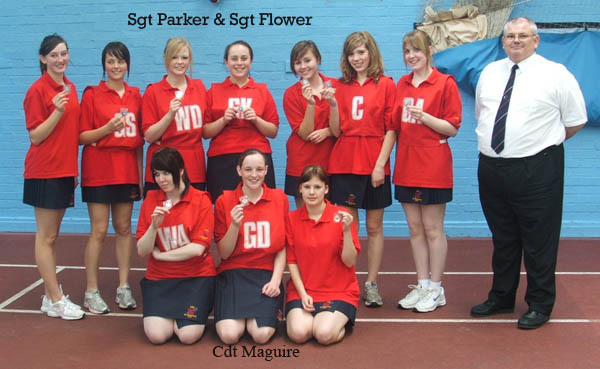 Congratulations to Sgt Sarah Flower (f) and Sgt Jessica Parker (f) who were both selected for the Wales and the West of England Region Netball Team. 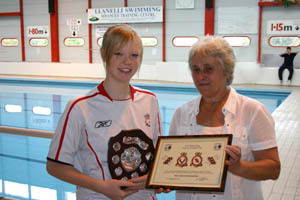 represented No 3 Welsh Wing at the Inter Wing Championships. 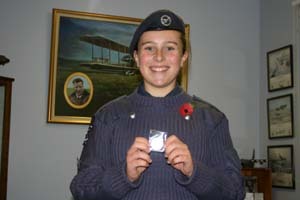 The Wing were placed a respectable fourth on the day. 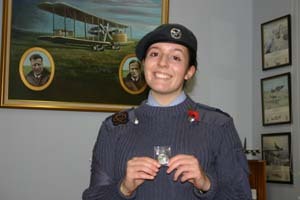 Cpl Flower (f) & Cpl Parker (f) achieved Bronze Relay Medals. 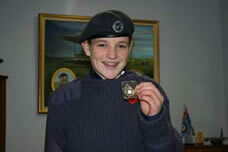 Cdt Myatt, Cdt Fulford & Cpl Prosser achieved Gold Relay Medals. 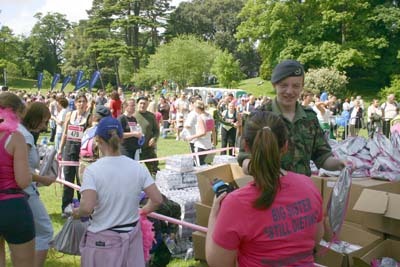 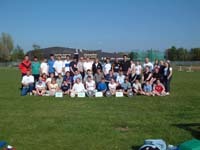 Thankyou to all the Cadets who attended ! 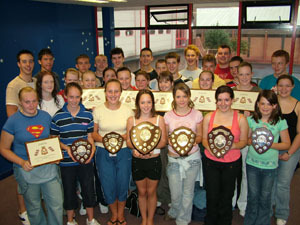 215 Cadets have displayed great team spirit to win five trophies out of a possible seven at the Inter Squadron Swimming Championships at Llanelli Leisure Centre on Sunday 2nd September 2007. 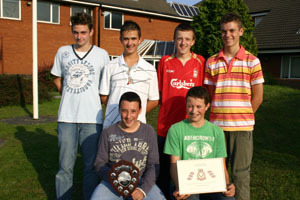 A brilliant effort all round. 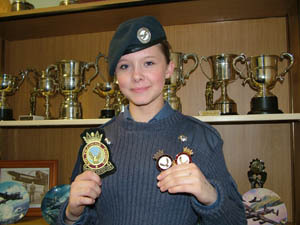 Cdt C Davies, Cdt T Clarke, Cdt L Bonazzi. 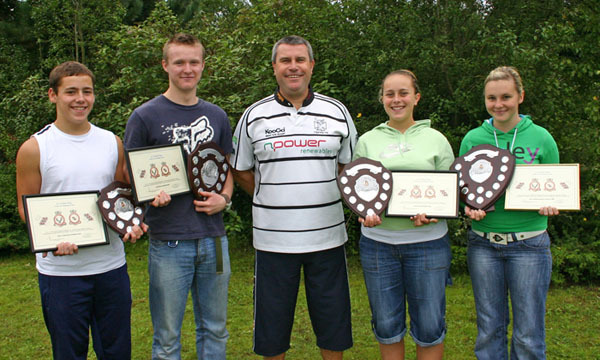 Cdt Maguire (f), Cdt Romanoe (f), Cdt Brannigan (f) & Cdt McCloy (f). 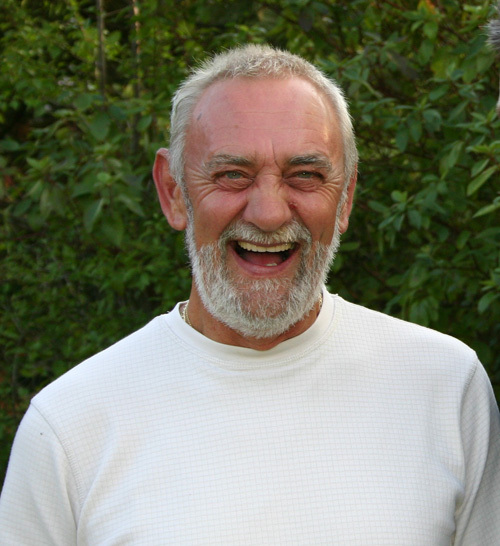 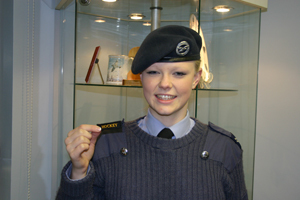 Sgt MK Jones (f) . 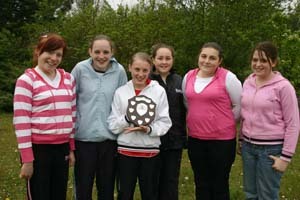 have helped win the coveted 'Junior Girls Trophy' beating teams from No 1 Welsh Wing, No 2 Welsh Wing, Merseyside, West Mercian and Staffordshire to win it for the first time in the history of the Wales and the West of England Region. 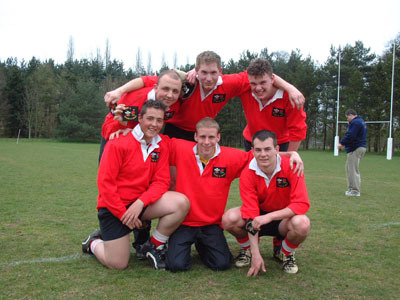 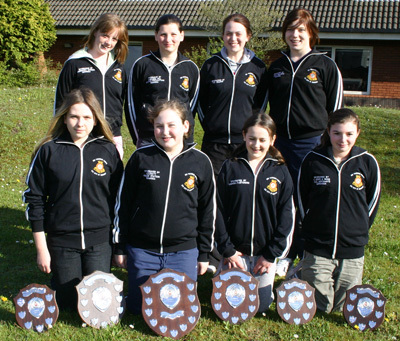 Corporal Flower & Cadet Mayne were also selected for the Wales & the West of England team. 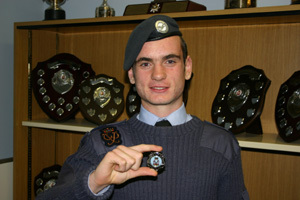 Cadet Maguire was selected as a non travelling reserve. 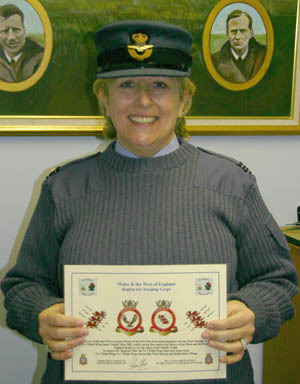 A really big honour for Flight Lieutenant Lorraine Flower (No 3WW Team Manager) to have a superb winning team for the first time in the Region's History. 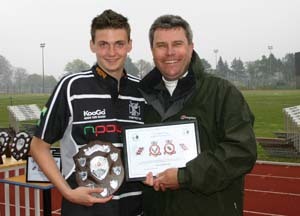 The No 3WW Junior Boys Rugby Team were placed second overall in the Wales and the West of England Rugby Championship. 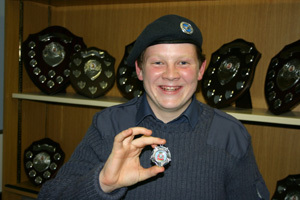 Cdt Jordan Prosser was presented with his Silver R/Up Medal - Well Done ! 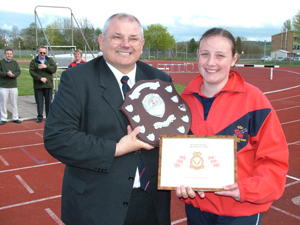 Congratulations to I/Sgt Gareth Abbott-Haigh who single handedly organised and coached the No 3 WW team to a well deserved runner-up place in the Region. 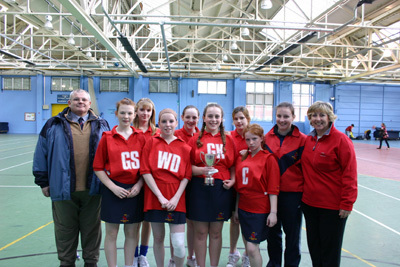 Seven 215 Cadets from a team of nine have come a well deserved second at the Inter Wing Senior Netball Championships at RAF Cosford on Sun 05 Nov 06. 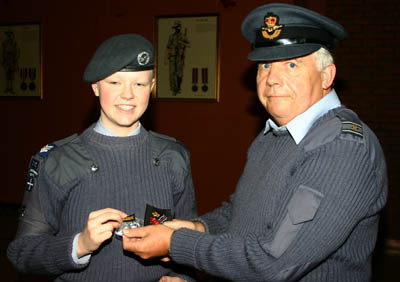 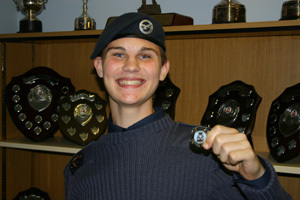 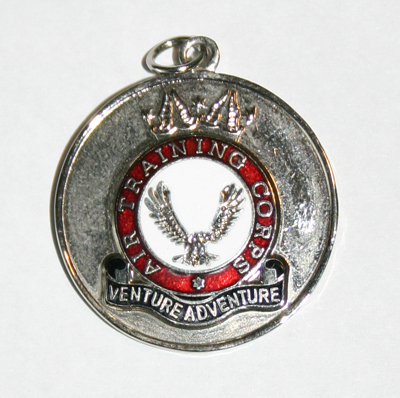 All the Cadets received their Silver Wing Medals as well as their Wing Blue from Wing Commander Wilson. 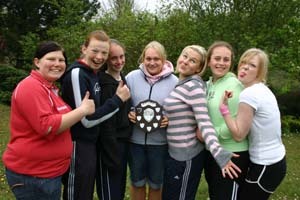 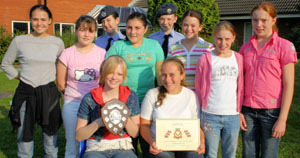 The Wing Team beat No 1 WW, No 2 WW, Staffordshire and West Mercian Wings but lost to the eventual winners, Merseyside. 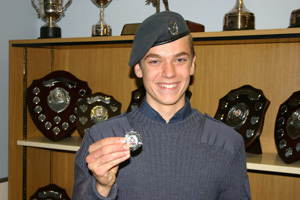 Cadet Mayne (f) and Sgt MK Jones (f) were selected for the Wales and the West of England Team and Cadet Ray (f) and Cpl John (f) were selected as non travelling reserves. 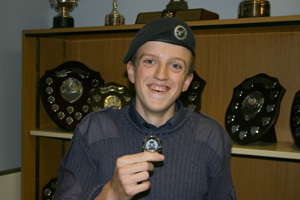 A well done also to the other Cadets form 215, Cdt Maguire (f), Cpl Hurford (f) and Cdt Flower (f) for also playing their part in the teams success. 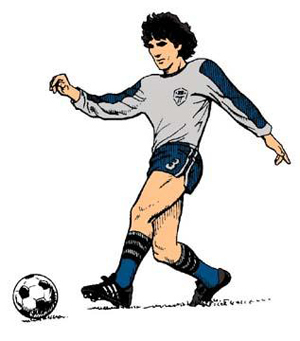 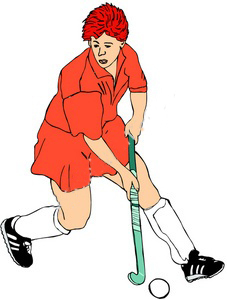 exceptionally well throughout the tournament. 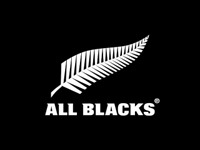 to do so well this year. 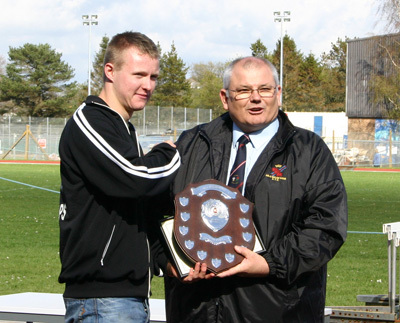 from 1092 Bridgend Squadron, who won on penalties. 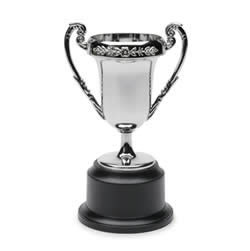 and were rewarded with the ultimate prize. 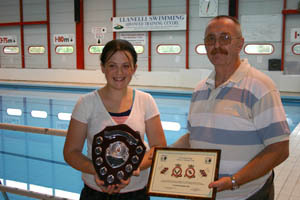 Llanelli Leisure Centre on Sunday 10th September 2006. 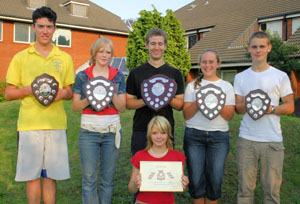 Senior Girls and Senior Boys won their trophies. 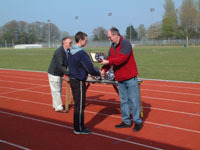 Junior Boys were placed second - only loosing by 2 points. 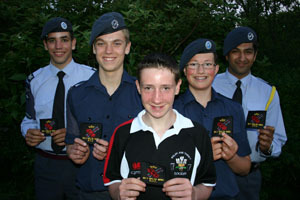 Cdt Parker (f), ISgt Roberts, Cdt Flower (f), Cdt Harries and Cpl Hurford (f). 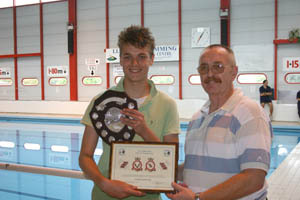 The Best Swimming Squadron Trophy in 3WW for the seventh time in eight years. 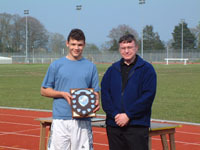 Overall Athletics Squadron for the unbelievable 8th year in succession. 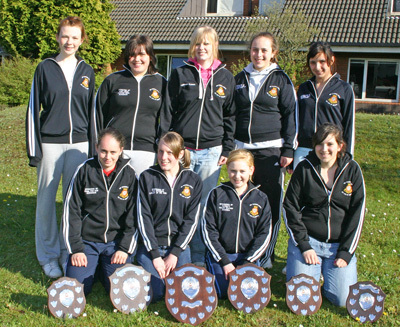 Together with our very own Flight Lieutenant Lorraine Flower on the team, the Corps Veteran Netball Team made up of staff have beaten the girls Corps netball team to a wonderful victory. 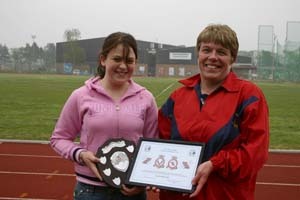 Congratulations to Lorraine and the rest of the squad for a magnificent performance. 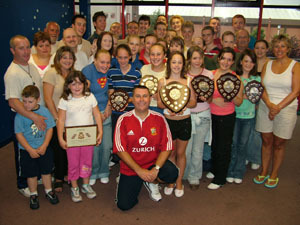 The No 3 Welsh Wing Swimming Team pictured with Squadron Leader Stuart Anderson (3WW PEdO) and Coach, Mr Rob Evans at the Inter Wing Swimming Championships at RAF Cosford on Sunday 2nd October 2005. 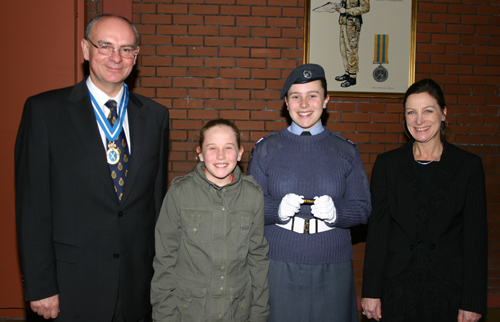 Also pictured are the Cadets from 215 who were members of the 3 WW Team. 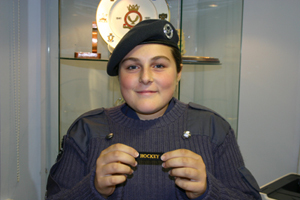 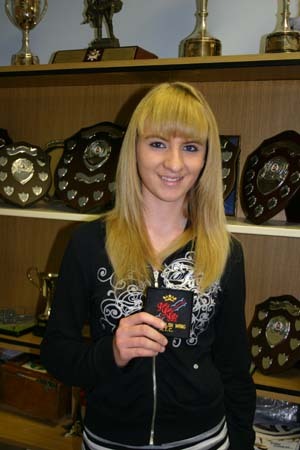 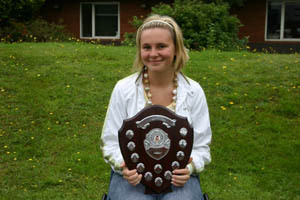 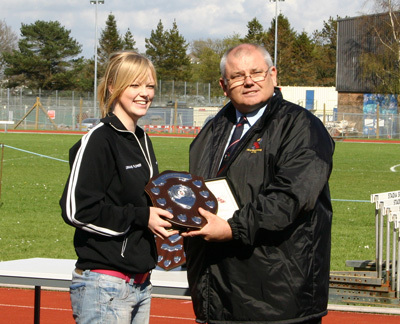 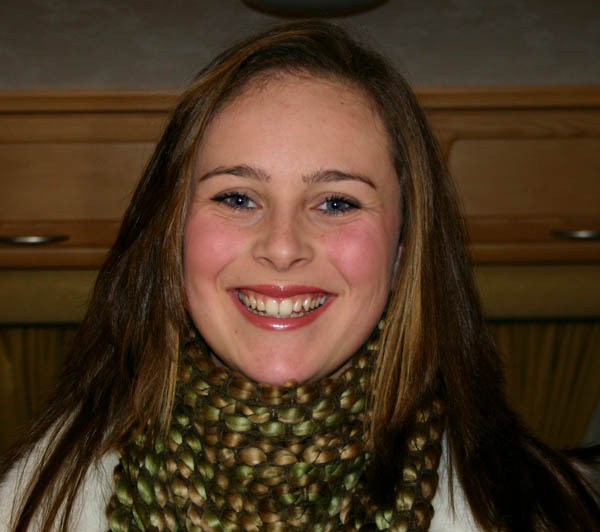 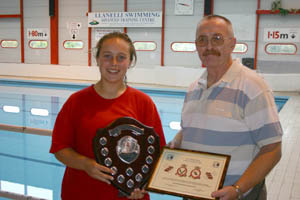 Cadet Sarah Flower (f) has been selected to be the Junior Girls Team Captain for the No 3 Welsh Wing Swimming Team, when they compete at the Inter Wing Swimming Championships at RAF Cosford in October 2005. 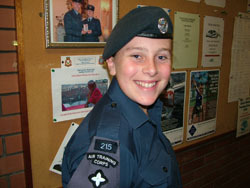 Junior Boys : Cdt Prosser. 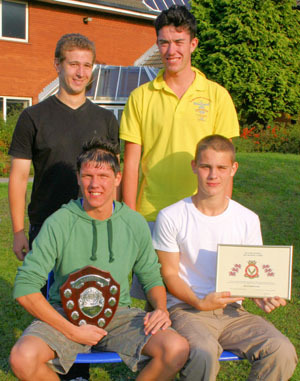 Senior Boys : ICWO Thomas, Cpl Roberts & Sgt Abbott-Haigh. 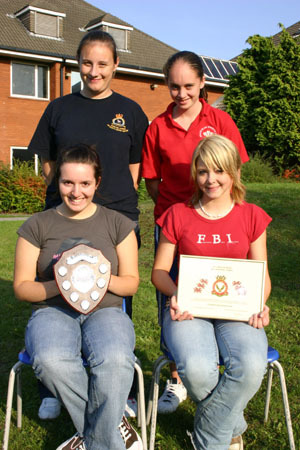 Junior Girls : Cdt Hurford & Cdt Conboy. 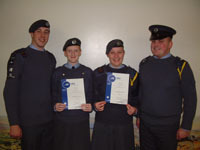 Senior Girls : Cpl Francis & Cdt Schuneman. 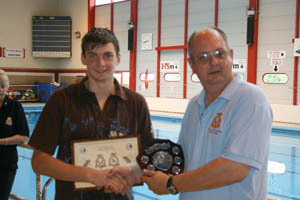 Cadets of the Squadron have regained the 'Best Overall Swimming Championship Trophy' for No3 Welsh Wing. 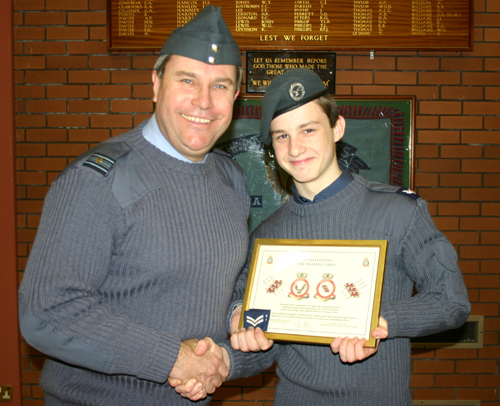 Over 40 Cadets and Staff attended the Inter-Squadron Championships at Llanelli Leisure Centre to set another exemplary standard within the Wing. 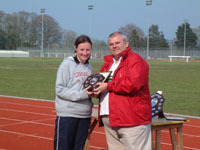 Other Trophies achieved on the day included: Junior Girls, Senior Girls, Senior Boys, Overall Boys and Overall Girls. 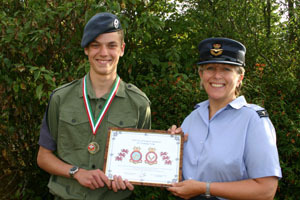 Cadets of the Squadron have won the overall championship for a historical sixth year in succession. 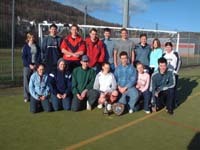 Over 50 Cadets and Staff attended the Inter-Squadron Championships at Johnstown Leisure Centre in Carmarthen as competitors and supporters to set this new standard within the Wing. 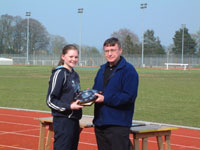 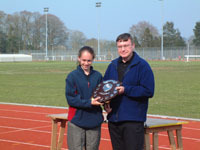 Other Trophies achieved on the day included: Junior Boys, Junior Girls, Senior Girls, Overall Boys and Overall Girls. 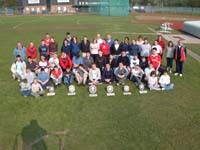 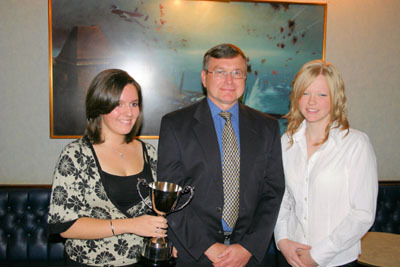 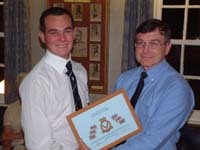 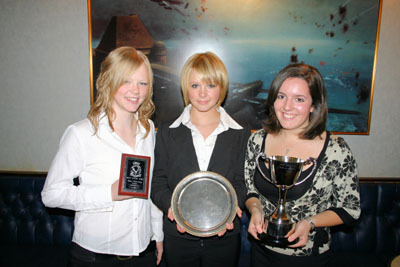 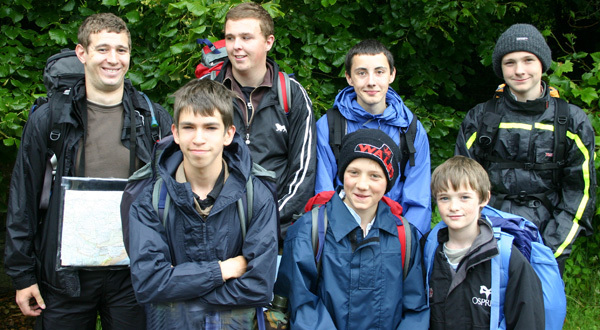 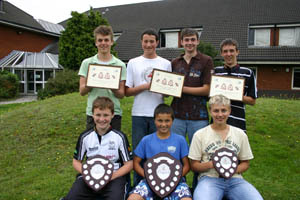 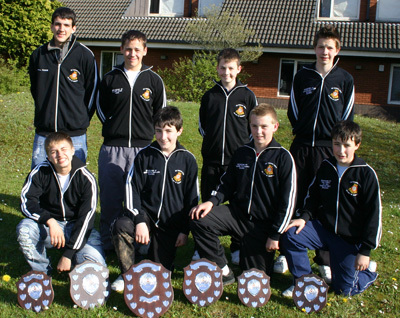 The Squadron was also placed second in the Youth Trophy and the Junior men Trophy. 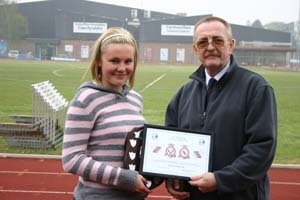 Members of the Squadron's Cadet Training Team have achieved Instructor Status with the Sports Council for Wales and can now organise the above courses at the Squadron's Headquarters. 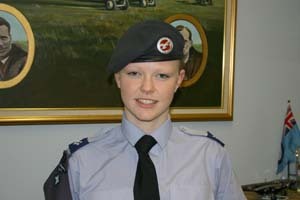 The Chief Instructor for the Courses is Instructor Flight Sergeant Daniel Conboy, who will be ably assisted by Instructor Cadets Warrant Officer Daniel Thomas, Instructor Flight Sergeant Rhiannon Prosser (f) and Corporal Kelly Russ (f). 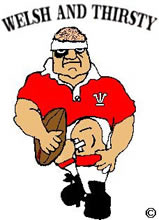 The Senior Boys and Girls Teams played exceptionally well, winning all their games against strong opposition from the other Squadrons in the No 3 Welsh Wing. 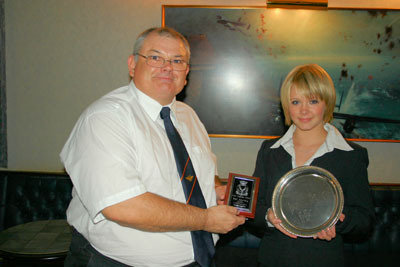 Flight Lieutenant Lorraine Flower is pictured receiving the Presidents Cup from the No 3 Welsh Wing Chairman, Wing Commander DT Edmunds MBE (ret'd). 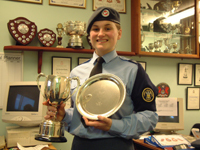 The Presidents Cup is awarded annually to either a Cadet or Staff member who has dedicated or achieved most to sport throughout the Wing. 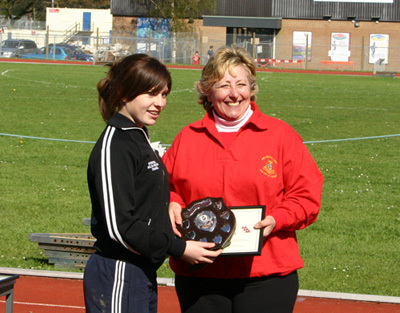 Flight Lieutenant Flower is the No 3 Welsh Wing Junior and Senior Girls Netball Team Manager as well as the Team Manager for the Wales and West of England Region Senior Girls Netball Team. 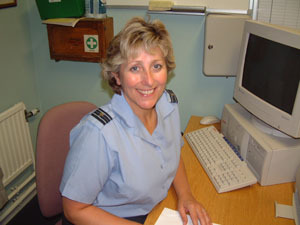 Three years ago she was also appointed jointly with Squadron Leader Amanda Smith as the Team Manager of the Senior Girls Air Training Corps Netball Team. 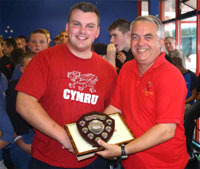 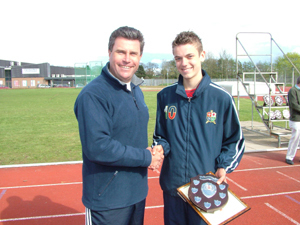 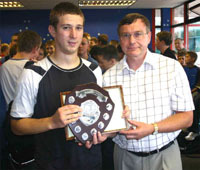 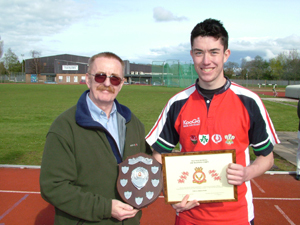 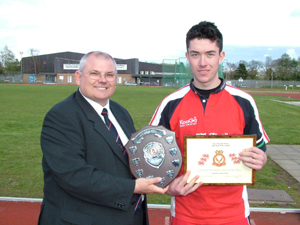 Sergeant James Hill is pictured receiving the Best Sporting Cadet Trophy from Wing Commander Lewis at the No 3 Welsh Wing Physical Education Presentation Evening in October 2004. 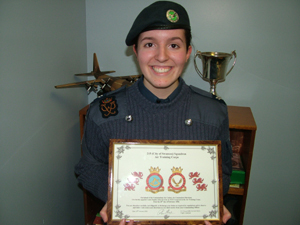 Cadets of the Squadron have won the overall championship for a historical fifth year in succession. 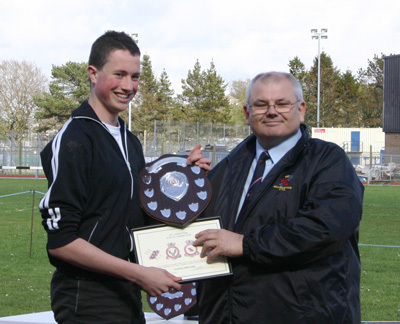 Over 40 Cadets and Staff attended the Inter-Squadron Championships at Johnstown Leisure Centre in Carmarthen, where the Cadets won the Senior Boys, Overall Boys, Overall Girls and Best Athletics Squadron Trophy. 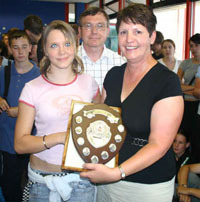 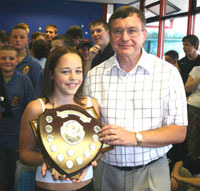 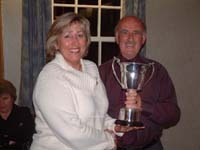 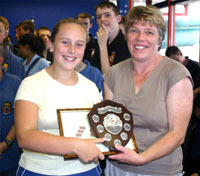 Flight Sergeant Helen Davies is pictured receiving the Best Sporting Cadet Trophy from Wing Commander Lewis at the No 3 Welsh Wing Physical Education Presentation Evening in October 2001. 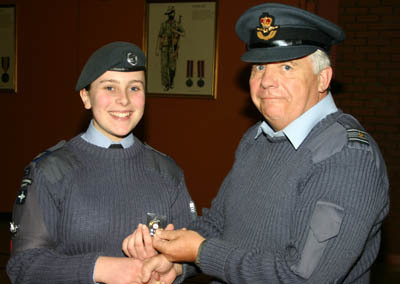 Flight Sergeant Helen Davies is pictured receiving the Best Sporting Cadet Trophy from Wing Commander Lewis at the No 3 Welsh Wing Physical Education Presentation Evening in October 2000.